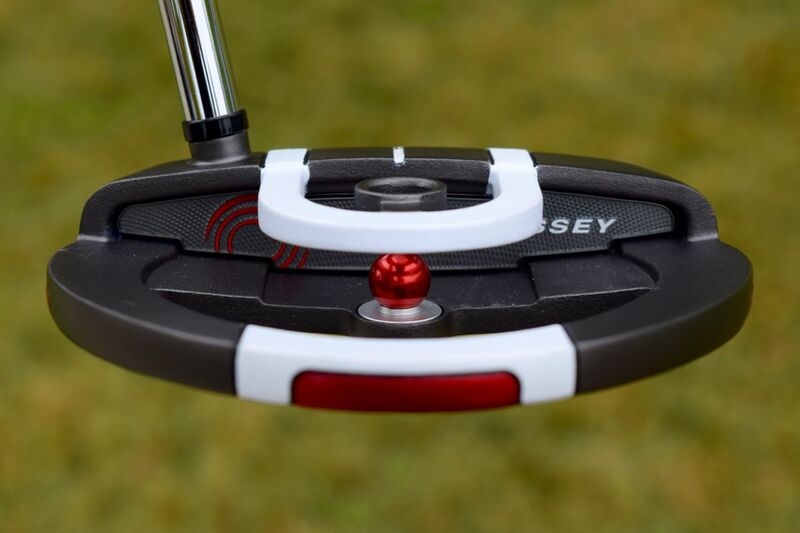 Forget that trip to the chiropractor, the new @odysseygolf Red Ball will make sure you are perfectly aligned. 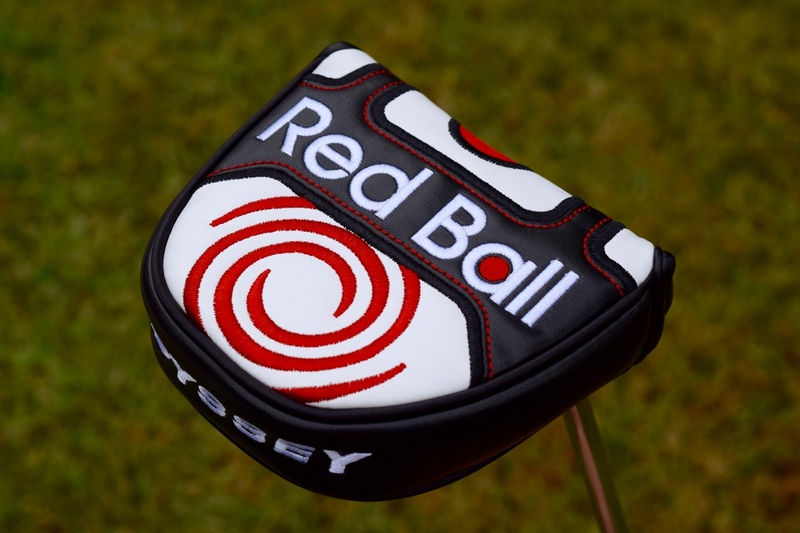 When Odyssey’s Luke Williams told me that the company’s next putter release was going to be the Odyssey Red Ball, I totally expected it to be the retail version of Daniel Berger’s red one-ball 2-Ball putter. Opening the box, I quickly realized that I was way off. I had the mallet part right, but the new Red Ball Scope alignment system was a shocker. Instead of one large white ball on the top of the putter, I was greeted by a smaller shiny red one. What has the trio of Williams, Rollinson, and Toulon come up with this time? The Odyssey Red Ball features some elements that you will likely find immediately familiar. You’ve got the high-contrast color scheme that first debuted with the Versa line and the White Hot RX insert, both of which are classic Odyssey putter elements. But that red ball is something different. 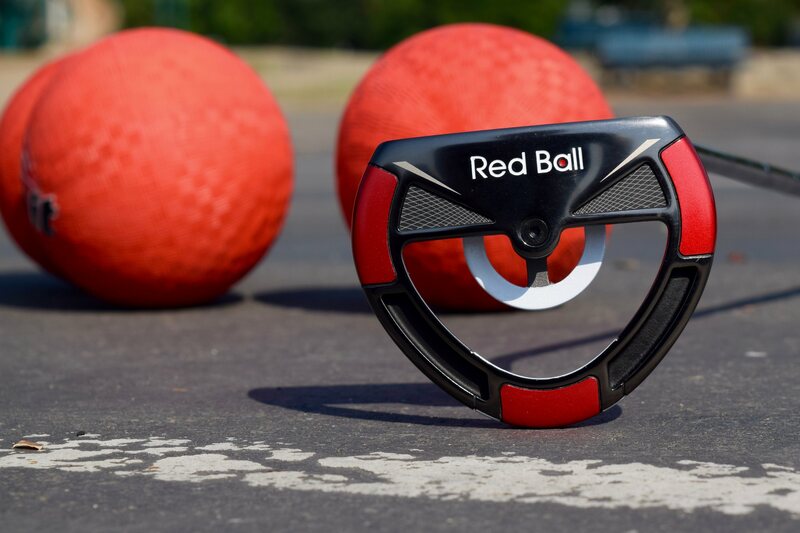 The purpose of the Red Ball system is to provide the golfer with a tool that will ensure that he or she is “properly positioned over the ball” at address. The concept is pretty simple. 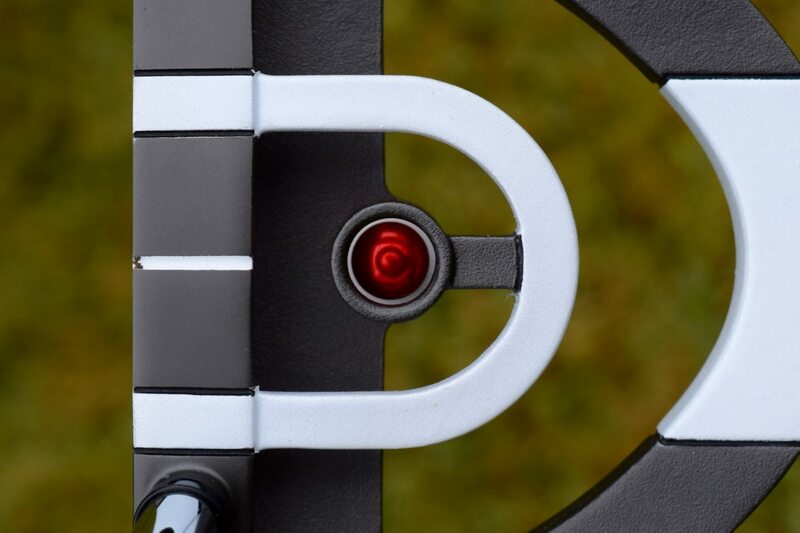 Line up such that the shiny red ball is centered in the scope ring and you should find yourself in the proper position over the putter, and with the Versa alignment lines aimed at the target, you should be all set to make the putt. Now some of you have already started typing in the comment box to let all of us know that this type of an alignment system has already been included with other putters. You are correct. Off the top of my head, I came up with Wilson’s Vizor putters, Cameron’s Red X, and, of course, SeeMore’s Rifle Scope technology. In all of these cases, the golfer positions the putter in such a way to hide the dots/line behind the shaft, or line up a line in the cavity to make sure that the putter is positioned correctly. The thing is though that outside of Zach Johnson, these other alignment schemes never really took off. Could the Red Ball finally be the version that is embraced by the golfing public? 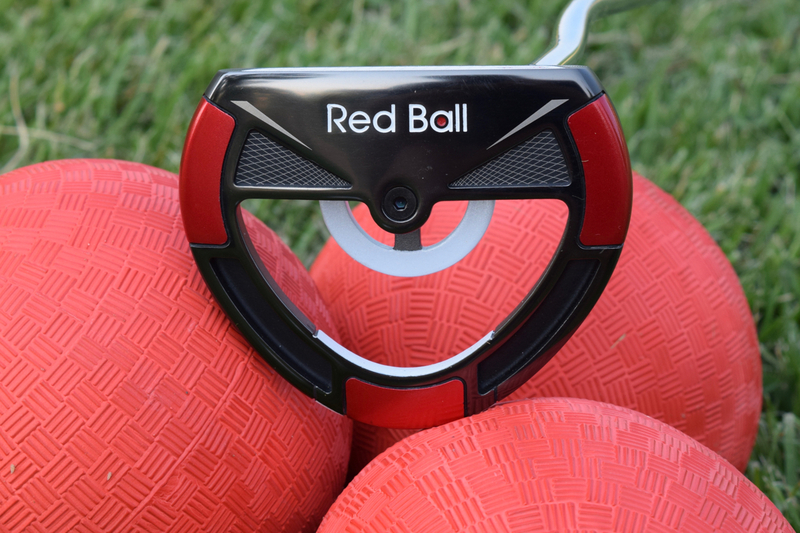 One difference between the Red Ball system and its predecessors is that the ball and ring system allows you to align the head in 360°. Previous similar systems promoted adjustment in either the left/right or the up/down directions. 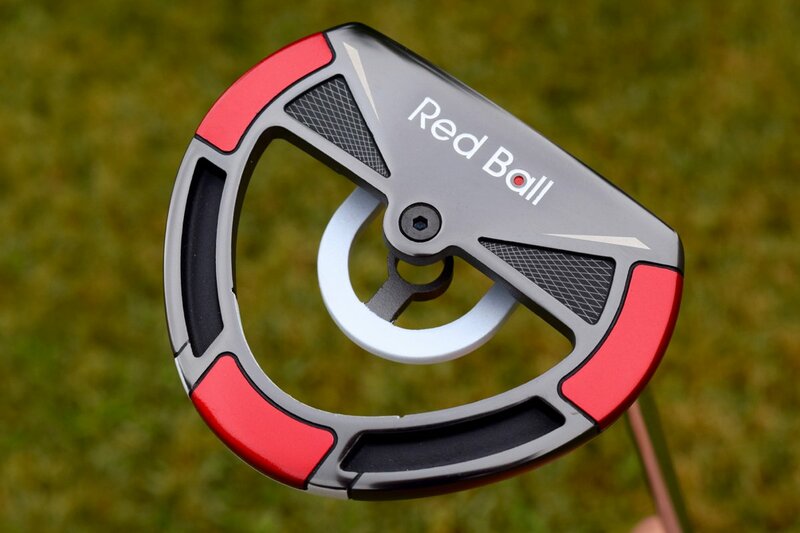 With the Red Ball, you can make sure that the ball is completely centered, and in doing so, you are now in alignment with the putter in terms of both loft and lie. If you are aimed correctly, and you hit it with proper pace, you should be in good position to make the putt. The technology isn’t foolproof. You can center the ball (or hide the line, or whatever), and still be out of a proper putting stance. For example, let’s say that you are standing way back on your heels. When you look at the Red Ball, it will be sitting low in the circle. Ideally, you would adjust your stance, and that would center the ball. The issue is that you could also center that ball by staying on your heels and dropping your hands. Now the ball is centered, but the toe of the putter is up. You’re not exactly in the ideal position, but the Red Ball is telling you that your position is correct. This is the issue with these types of alignment systems. It’s very easy to manipulate your hands to hide the line or center the ball, when in fact you are in a misaligned putting position. That criticism aside, the 360° nature of the Red Ball alignment system is an improvement over its predecessors, can be confidence-infusing if you know that you are truly positioned correctly. After a few rounds with the Red Ball, I began to appreciate the simple putting routine that the Red Ball provides. Read the putt, aim the Versa lines at the target, make sure your stance is correct, check that the ball is centered, and fire the putt. 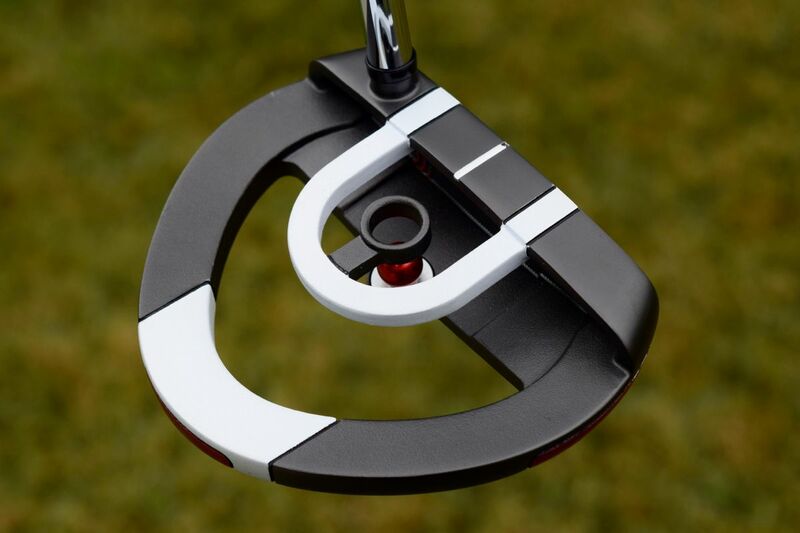 One other play feature worth noting is that if you are currently rolling one of the Odyssey putters with a Microhinge face, the White Hot RX insert will feel very soft. You can feel the difference between the White Hot Microhinge and the White Hot RX inserts. I’m not going to say that one insert is better than the other, but I definitely prefer the firmer feel of the White Hot Microhinge. The face-balanced Odyssey Red Ball mallet hits a shop near you on July 20th ($179.99). I’m curious to hear your thoughts on the Red Ball alignment system. Do you think that Odyssey has perfected the integrated body position system, or will the Red Ball ultimately deflate like the others? 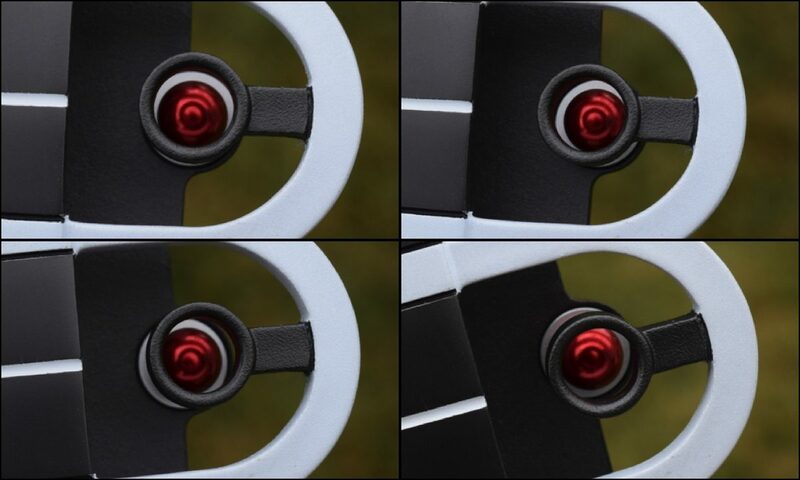 If the Red Ball proves a hit, I can see Odyssey adding the Red Ball alignment system to other putter models. The Red Ball would integrate nicely into the #7, or even the #1 wide body. Maybe that’s already in the works. Remember that last summer, Odyssey released a few red and black O-Works slant neck putters, and then followed that up with a major red and black release the following January. For more information, visit the Callaway Golf Website. The OEM’s have to keep coming up with gimmicks to sell equipment year in and year out. Does not mean it is any better and can solve individual putting issues. Justin Rose just missed a 4 footer to lose the BMW. No putter would have guaranteed he made it. That being said, a friend of mine flew from Florida to California to have Scottie Cameron make him a custom fit putter. Over $2,400 later, despite all the technology, he puts no better. I, too, have tried numerous new fad putters over the years. I currently use an Odyssey Backstrike putter from years back. For me personally the backstrike position of the shaft gives the clearest view of the hole and prevents the left to right open/close faults of blade putters. New technology is expensive and cool. However, any putter at any level including the PGA (Ask Jordan Speith) can miss easy putts with any putter. There is no magic bullet except getting custom fit and practice, practice, practice. Another ‘gimmick’. GO get ‘fit’ for a putter (lie, loft), then take lesson, then PRACTICE. Golf marketing has become a science of gimmicks. Yes, because everyone has the money to get fit, take lessons…this putter seems to be an easy solution for someone who is having alignment and setup issues. If your putting is fine, don’t change it. Simple. I think it works great. Alignment works with my putting stance and the club is very stable – feel is soft. Putting it in play this week – will see if knocks the Cameron Squareback out of my bag. Scott, I would be interested in how you liked the putter and if indeed it did knock the Cameron Squareback out of your bag. I bought the Red Ball putter and I love it so far although to be fair have only played 3 rounds using it and have not practiced with it at all. I did make the first putt I ever took with it to make par so there is that and it did seem to get me lined up properly. My concern is that there is too much information overload in that instead of thinking about the line and speed of the putt I am thinking about the Red Ball being centered. But I think it time it will be pretty much automatic in getting the ball centered. The Squareback was my other choice and chose the Red Ball on price and thinking it would help with my set up so the reason for my interest in your thoughts on both. Yes – has taken the place of the Squareback! Took me a couple 9 hole league rounds to get used to the speed on long puts- as I am not used to an insert. I use the red ball alignment on the practice green. Out on the course – the Versa black and white is enough to line up the ball & logo line. (1st round I was over thinking puts with the redball) The only improvement I could see would be adding the EXO insert. I am sure they will come out with that later. I have always made certain that the lie angle of a putter is correct..normally 1 or 2 degrees flat for me depending on putter length. It is logical that, if the lie angle is too upright or the heal is up, the red ball will be high or low of center even if your eyes are actually in the correct position. So, it seems to me that the putter will only work as intended if the lie angle is fit for the individual golfer. I intend to confirm this at a golf store today. Why does Odyssey no longer offer a center shaft putter in any of their newer lines? Yet another golf product that insinuates there’s a wrong or right way to putt. In a results orientated game – positioning of the eyes is irrelevant if the ball is going in the hole. Correct, the alignment system will tell the player that he eyes (and most everything else) is the same each time. I think the point is that if the ball is not going in the hole for you, maybe it’s your alignment and setup that is causing that. This putter offers a solution. Whether it’s a perfect solution is debatable, but still, it offers one. Hoping for a late summer member test opportunity!! Love my O-Works Fang, would be VERY interested in how the red-ball would integrate into that model. Didn’t Nero drop that red ball on Vulcan in Star Trek? HAL: I’m sorry, Frank, I think you missed it. I for one will try this. As long as the price is reasonable. Bout do for a new putter. Will let you know how good it is when I get one. I like the tech! Let the market determine if successful or not. Odyssey has a long history of great putters. Is it me or has Odyssey been releasing a boat load of ugly putters as of late? I’m sure there’s just sooo much “tech” guaranteed to shave strokes packed in to their designs but between the Exo and now this Red Ball thingamajig, they remind me more of die cast toys than putters that bare the name Odyssey. How has nobody mentioned the RedBull font on the bottom. What a brilliant marketing idea to try and connect those products.smh. Surprised to see so many negative comments. Sure, it’s not for everyone, but it could be great for some. Seems like a great idea to me. Hard to design a putter that works for every single person. This looks pretty awful, what the heck were they thinking?? They were trying something new, and that is a vital part of the golf equipment design process. Some things will be hits, and others will be misses, but as soon as the putter makers stop taking design risks, the putter market will truly stagnate. I agree that there seems to be somewhat of a competition to make a wazoo putter that not only works, but is unique and catches ones eye. I also remember when the 460cc drivers came out. Everyone said they were way to big and gaudy and would never be popular. Well…. One thing is for certain, part of process of finding out what works is finding out what doesn’t. …I tried the SeeMore version and I found that it changed your focus from where it should be when putting – line, pace – to making sure that whatever alignment aid – red dot, red ball – was set correctly. I gave up after a few rounds. I’m sure plenty of people will buy into this but it seems like it might hide bad technique; if you miss and you had the red ball thing set up properly then why’d you miss? and vice-versa – if you make it but the red ball wasn’t set up right why’d it go in? I too had a SeeMore putter. Good putter but did find the alignment thing to be rather useless. 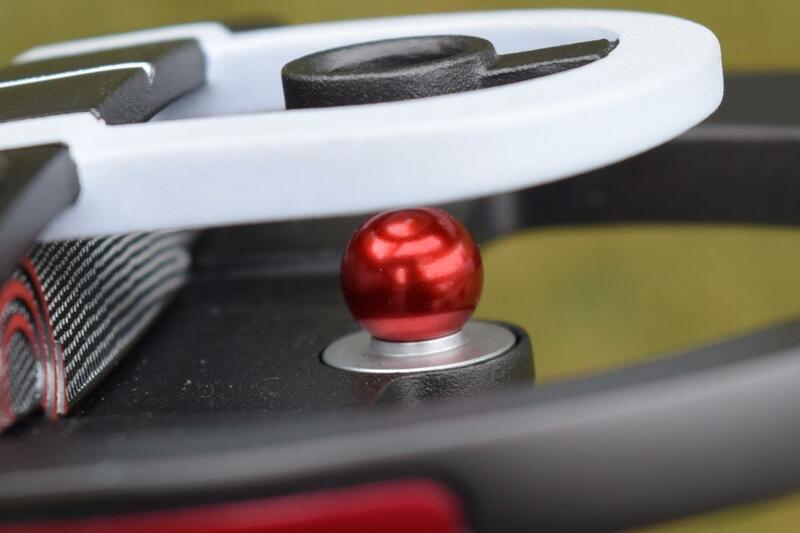 This Odyssey red ball may do a better job of letting you know if you are looking directly over the putter head which could be useful. I find that I tend to stand up more when I get tired and not keep my head over the putter. Seems a little gimmicky but not as gimmicky as the Flip Face. So do we have to “zero” these weapons of mass putting? We all line up differently on the putter and we have different eye dominant people. I don’t see this gadget actually helping the game. Next is a laser sight and a forward grip right? Practice will make you a better putter. I’d rather get better with more golf than using something created in Dexter’s Laboratory. It’s a pass for me. R U kidding me? Tee it up in a 25 mph West Tx wind and good luck with the little red ball. 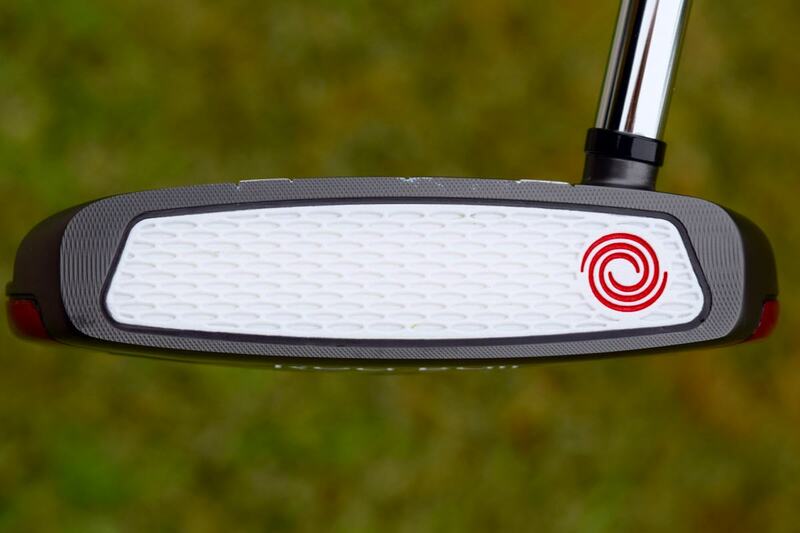 This putter could be a training aid to help you keep your head still. Good luck to the old timers with failing eyesight. Tks for the info Dave. 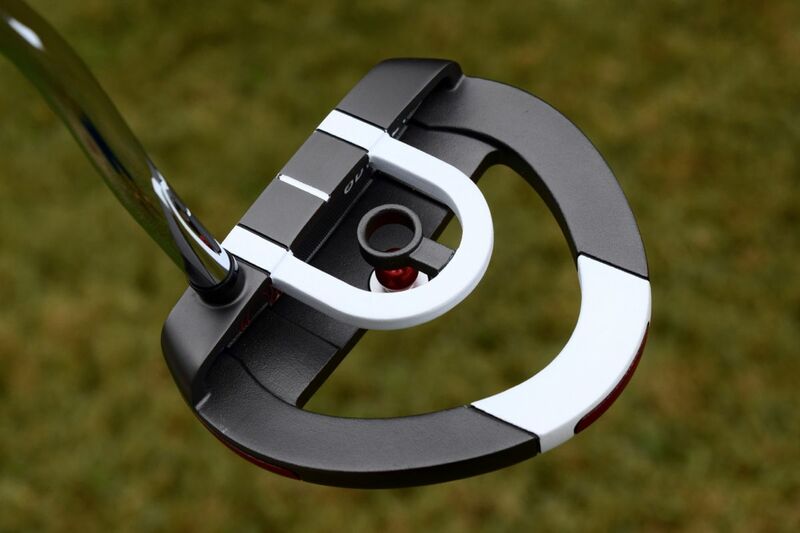 Did your putting improve playing the Red Ball putter or not ? Unfortunately not, but that wasn’t a big surprise for me, and it was not the fault of the Red Ball. Alignment issues are only one part of the putter/putting equation. I know that I need a putter that arcs more than the Red Ball, and that’s why I’ve stayed with the EXO Indianapolis S, Marxman S, Bettinardi Sig 5, and other more toe-flowy putters. I also understand the skepticism and dismissal of the putter that some of you are expressing, and your points are valid. However, as with all things internet, the comments are probably too harsh, and too dismissive. 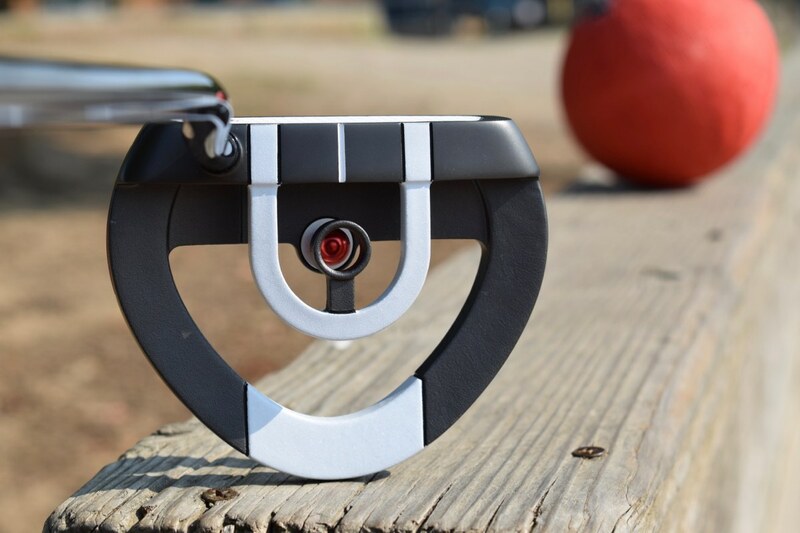 The Red Ball alignment system will help some golfers to align and putt better, but I don’t think that Odyssey intended it to be a fix for all golfers. Sight lines, plumbers necks, inserts, and so on are all design elements that will help some golfers putt better with a given putter, and that’s where I see the Red Ball tech fitting into the putter market. 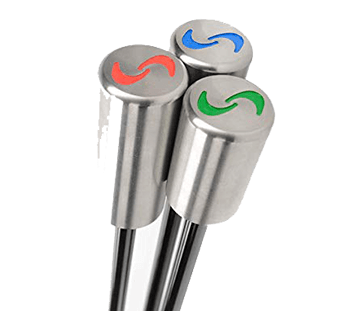 It’s not like microhinge tech that will enhance roll on any putter, regardless of shape. The Red Ball will likely suit a narrower audience. Hi Dave – anything that lets a golfer line up a putt should be seen as a positive but there is one small inherent problem…….. not all golfers stand the same distance from the ball when putting – with the red ball it does not give you the option of standing away from the ball which would be a problem for me to line it up. This method will work for the golfer who stands directly over the ball and will work for them. I would be more concerned with lining up my clubface to my putting line – keep an eye out for the ‘Strike-Line’ coming soon. Nor do Golfers have the same eye dominance. 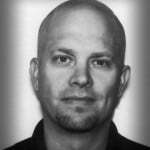 True, but this can still be useful in that it lets you know if your lineup is consistent. You prefer to have your eyes a little inside the line. That’s fine. The red ball will look a certain way and you can use that as a reference to make sure you don’t get too over the ball. In your case, if the red ball is perfectly aligned you would be too forward. I just bought an Evenroll 7CS this year so I’m not in the market. This is an interesting idea however and I’ll be curious to check it out. I’ll pass. Should have the micro-hinge, and the design is nothing special. I prefer the EXO Rossie and #7, in design and color.